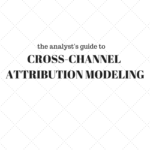 The eventual goal for digital marketing analysts is to perform attribution modeling, or to see how advertising efforts are connected to conversion paths, and ideally in one place. By doing this, we will see which advertising efforts get the most “bang for our buck”- or in technical terms, ROI. Ideally we would want to do this procedure for all of our advertising efforts. In this guide we’re going to cover PPC/CPC, Social Advertising, and Display Ads. Obviously, these techniques can be applied to other types of advertising too. PPC/CPC, Social Advertising and Display Ads all cover a similar hierarchy. Understanding this hierarchy is essential for the next portions. This is what it usually looks like. For our purposes, we’re starting at the campaign level. Let’s imagine we have a Fall Campaign that we want to advertise on PPC/CPC, Social Advertising and Display Ads. 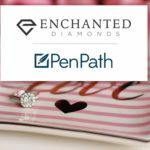 Our goal is to have the data for this advertising to be in one place. What this means is that a) we want to have Advertising Metrics (Impressions, Clicks, Cost, Click Through Rates and Cost Per Click) and Web Behavior Metrics (Sessions, Pageviews, Session Duration, Pages Per Session, Bounce Rate, Transaction, Transaction Revenue) for all channels (PPC/CPC, Social, Display) and b) Have all channels relate back to the same campaign. Doing this will help us compare and contrast campaign efforts between advertising types. All the high level dimensions are connected to each other by the granular level dimensions. So the UTM parameters include the type of ad channel, and each ad channel has specific metrics and dimensions (in this case ad metrics and web behavior). How do we do this? The answer is UTMs (Google Analytics) and Data Blending (on Tableau). First let’s look at UTMs. What are they? UTMs are Urchin Tracking Modules.They are helping us track all of our advertising efforts to one campaign (the part in purple). We have to do this before we blend Advertising Metrics with Web/Ecommerce Metrics (done in Tableau). This is because we need to know that we are blending data from the same campaign- not just random metrics and dimensions. So we first need to relate ad channels to the same campaign before we blend the data. Going back to the Advertising Hierarchy above, we can relate each section to a certain UTM parameter. A UTM parameter is a tag attached to the end of a URL, and when the URL is clicked the tags are sent to Google Analytics and tracked. Here is an example of what UTMs would look like. We want UTMs to be the exact same across all ad channels so we can track to one campaign on Google Analytics- add the source/medium to specify which ad channel the campaign is coming from. After doing this, we should be getting web traffic information for these campaigns on Google Analytics. Let’s move on to Tableau. Now that we have UTMs set up, we want to establish what the linking fields are going to be-to do this, look at your data sources to see what fields you can link. This will help us actually blend the data. Here’s an example of a relation you can make to categorize what those fields should be. After you’ve figured out through your table what fields can be linked, go ahead and export your data sources into Tableau. For Web Traffic (Google Analytics), it should be a straightforward connection unless you’re putting your data into a database. The process for ad platforms varies depending on the type. Now that you know which fields to link, you can start making your dashboard in Tableau. In summary, attribution modeling is a very good way to correlate advertising efforts with revenue. The platforms available do this but in a very fragmented way. By using UTMs and blending data in Tableau, you can see all your efforts in one beautiful, streamlined process that make is extremely easy to make the right business decisions.